In the spring of each year, the Ohio Association of Student Councils comes together for its Annual State Conference. This is a 3 day event for both middle school and high school students to engage in special presentations, keynote speakers, informative small group discussions, swap shops, a banquet a dance and many opportunities to make new friends and share ideas. In addition, students participate in the process of electing new board members. Senior High must elect 4 new candidates to serve on the executive board, while middle school students vote for 2 candidates to serve on the executive board. Students stay in host homes of Student Council members from the host school. These host homes graciously open their doors and are routinely some of the highest rated scores on our conference evaluation. In order to attend State Conference, schools must be OASC members and have paid membership for the current year. You are invited to a leadership development day with the Columbus Blue Jackets at Nationwide Arena! Schools will have the opportunity to skate on the game ice, followed by a panel of leaders for the Columbus Blue Jackets organization. After the panel shares their stories of leadership and shares in discussion with current student leaders, there will be a tour of Nationwide Arena. 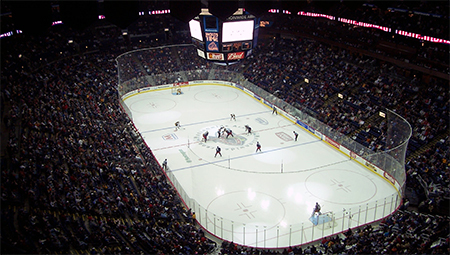 Students and advisors are then invited to stay for the game that night to cheer on the Columbus Blue Jackets! In order to provide a longer opportunity for discussion and group development, OASC created a three year rotation of retreat programs for both Middle Level and Senior High students. These overnight retreats offer students opportunities to make new friends, connect with old friends, work in a council setting and develop their teamwork skills in an overnight setting. Over the course of the years, various skills and topics have been covered including: project development, creativity, diversity, problem solving, communication, self-awareness, and self-esteem. Leadership at the Point, or Leadership at the Island is a one day event held on the last Sunday of September. This event rotates annually between Cedar Point and Kings Island. Students will participate in leadership development for 2 hours in the morning facilitated by our Executive Board members. Once the park opens, students are then free to explore the park, ride coasters, and play games until their school is ready to go home. This event is a fun day for students and a great way to kick off a new school year with some group & council bonding!